Fish finders come in all shapes and sizes, and the different models produce different information for your screen. While some standalone fish finders will suffice, others don’t hold up. That's why using a combo fish finder with a GPS unit will be better for you. You can get more information from a combo fish finder than you would from a standalone fish finder. If you’ve thought about getting a best fish finder GPS combo, but weren’t sure where to start, this article will help you understand the benefits of a GPS combo fish finder. Most fish finder’s you find on boats are a GPS combo unit. This is because they are more efficient for boats, and they fit nicely. They are easy to install on mid-size boats, and provide plenty of information when you’re fishing. Even if you have a larger boat, you can still use a combo fish finder to help you fish. Whether you’re out on open water, or navigating through different channels, you can use a combo fish finder. You can find any use for a combo fish finder on your boat. 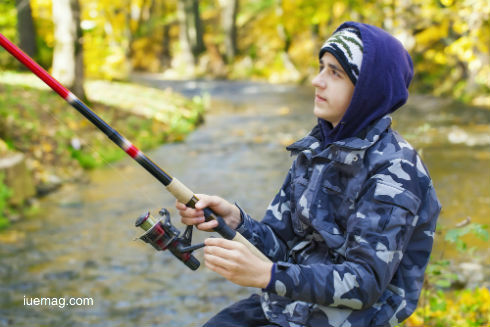 Fishing in different areas can get clustered quickly, especially if you have never been through the area before. Not only can you see where you’re going, and what the water ahead of you looks like. This device will help you plan for any inlets that can cause you to get stuck. Since you can see where you’re going and where you are, a combo fish finder also works under water. You can determine if you’re heading towards a lot of brush, or if you’re coming up on shallow water. Being able to see more around you will allow you to navigate the water easily. As you’re fishing, you may have to decide if you should focus more on the fish finder or the GPS. This can become confusing, especially if you’re not paying attention to where you’re going. Using a combo fish finder allows you to pick which one you want to focus on. Some fish finder models allow you to have a split screen, which helps you watch your GPS and what’s going on under the water. Since you can use the split screen option, you don’t need to scroll through the different options to pull up the screen you want. Using a combo fish finder allows you to plot your favorite fishing areas. When you come upon an area that is ripe with fish, you can drop a pin for the next time you go out. This helps when you’re not sure of the exact spot you’re fishing in, and need to get back. Not only that, but you can save your plotted points to the fish finder or to an SD card. This is great for those that love to play with their toys as much as possible. You can have a more interactive fishing experience with the chart plotter. Whether you love fishing in shallow or deep water, a combo unit is practical. You can change the frequency where you’re fishing so you can get the best spot. You will need to make sure the frequencies are set right before you settle into your new spot. Many models do have dual frequencies, which is good when you need a fish finder for different depths of water. Having more options means you have a better chance of catching the fish you want. You can also have your favorite deep and shallow areas marked off for next time. Fishing is a lot more fun when you’re reeling in the fish, and a combo fish finder is the best way to have fun. Not only will you enjoy catching more fish, but you’ll have fun programming the unit. There are a lot of settings, so you can play around with it until you’re satisfied. You can change the sensitivity of the transducer, change the colors, and do other things that makes the experience more interactive. When you can enjoy using the tools at your disposal, you’ll have more success when you’re out on the water. GPS combo fish finders are the best tools to help you determine where you are, what the fish are doing, and what fish are in the area. Though you may think that all fish finders are the same, the truth is that they aren’t. A GPS combo fish finder is the best choice available, especially when you’re fishing in areas you’re not familiar with. You can do a variety of things with a combo fish finder, and they are more interactive. If you’re tired of going home empty handed, try using a combo fish finder. Any facts, figures or references stated here are made by the author & don't reflect the endorsement of iU at all times unless otherwise drafted by official staff at iU. This article was first published here on 6th June 2017.